Ben Higgins' new girlfriend is not from the Bachelor Nation! 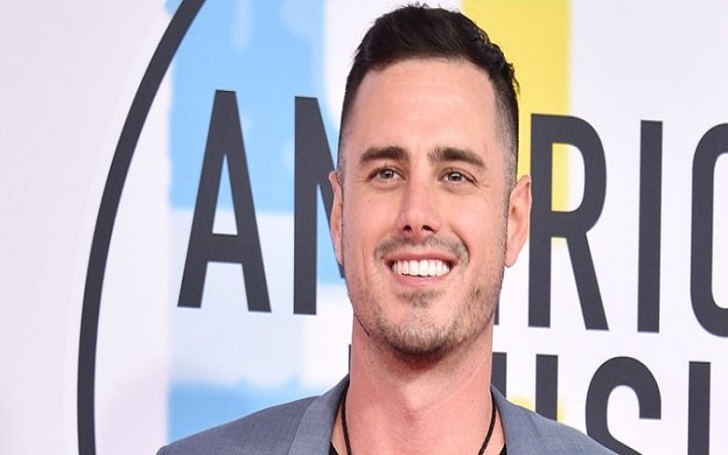 The Bachelor alum, 29, who appeared on the 20th season of the ABC hit series, says his girlfriend is not from the Colton Underwood’s season of the show. In fact, she doesn't belong from any season of the dating reality show. During his latest podcast of Almost Famous on Monday, January 21, he revealed, "She’s not from Colton’s season. Not at all. Not from the show." As previously reported, during a January 14 episode of 'Almost Famous' podcast, the television personality confirmed that he is dating a new woman. He didn't give much information about his mystery lady at the time but he said they are in a long-distance relationship. He said on the show, "I was just telling someone the other day … I’ve started dating again. This is big news, right? I am dating." Ben was previously engaged to his fellow Bachelor star Lauren Bushnell. They became engaged in the finale of the show on March 14, 2016, but they parted ways on May 15, 2017. Lauren is currently dating a country singer, Chris Lane, who she began dating in November 2018. We hope Ben will soon come public with his loved one. For more updates, stay connected with Frostsnow.